“This program doesn’t play for bronze medals, we play for gold. But hey, that’s where we’re at for Sunday — this sting is going to hurt for a bit,” said UBC head coach Mike Mosher post-game. 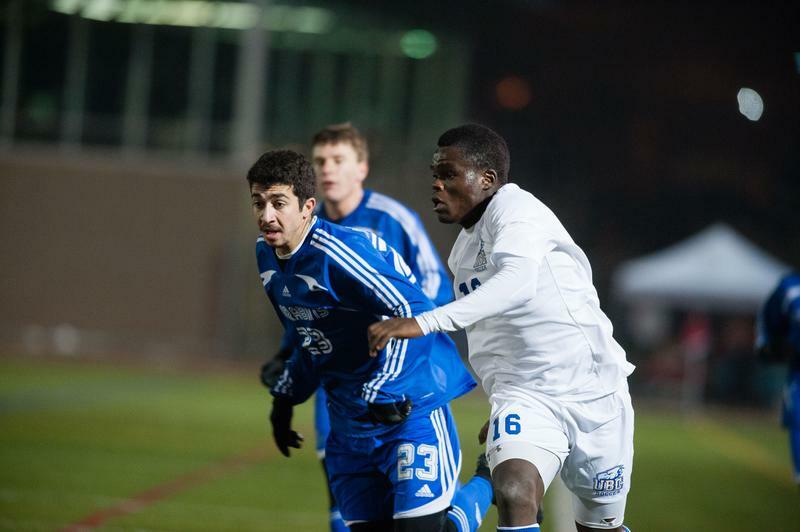 UBC opened the match with a flurry of chances from strikers Kristian Yli-Hietanen and Victory Shumbusho on Carabins keeper Louis-Phillipe Simar. 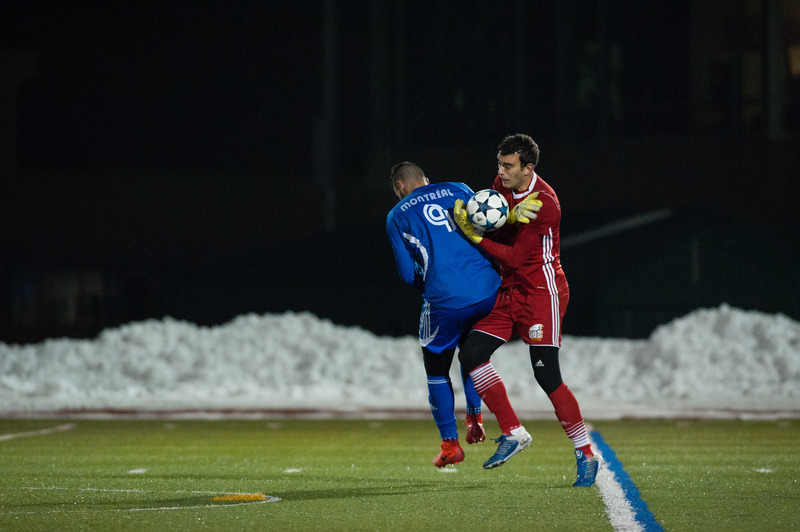 Simar stood up to the challenge, and his team returned the favour a few minutes later with midfielder Heikel Jarras and forward Mouad Ouzane peppering UBC’s net, though to no avail. Beyond the initial chances, UBC didn’t look to be playing their usual game throughout the rest of the half, looking unsettled until the last few minutes before the intermission at Hillside Stadium as they forced long balls down the wings in hopes of finding strikers Zach Verhoven or Shumbusho up front. The Carabins picked off several of the plays and used the counterattack to their advantage, keeping UBC’s defence on their toes. The Montreal side’s work would be rewarded in the 17th minute, when midfielder Aboubacar Sissoko threaded the ball over top of the ’Birds defence to striker Frederic Lajoie-Gravelle. He would loft the ball over UBC’s Chad Bush as the keeper came out of his net to challenge on the play — both teams would hold their breath as the ball floated across the goal line, putting the Carabins ahead 1-0. At the restart, UBC upped the ante, putting more pressure on the Carabins and sending more accurate balls down the wings for their attackers. Even so, the Carabins would manage the first convincing shot of the second half. On the counterattack, Montreal striker Ouzane found himself with a look at an empty net in the 68th minute. His shot would breeze just outside of the right post, a near miss for the T-Birds. Montreal would double their lead in the 79th minute, with striker Jonathan Makaya getting on the end of a pass from Ouzane. He would slot the ball across the net and past Bush, giving the ’Birds a mountain to climb in the final minutes of the game. In the dying minutes of the match, the Carabins would have a chance to triple their lead when the team was awarded a penalty shot. Bush would come up big for the T-Birds, getting his hands on the low shot and steering it away from danger. The referee would call the play back, allowing the Carabins a second chance at the penalty — the second shot would ring off the crossbar, again keeping Montreal's lead at 2-0. 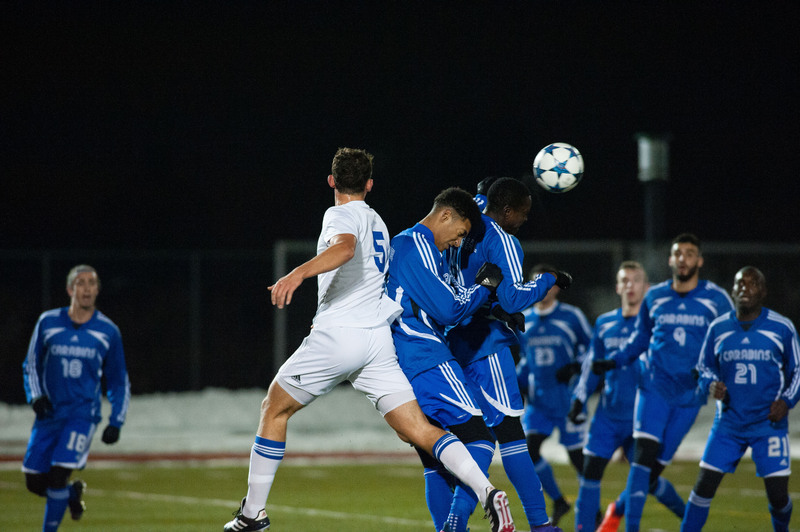 Even with the last minute heroics from UBC’s keeper and a squandered second shot by the Carabins, the Thunderbirds luck wouldn’t translate in to last-minute goals. With the game falling into stop-and-go proceedings due to aggressive plays and fouls from both sides, the clock would quickly run out on the T-Birds. With the final whistle, UBC would fall 2-0 to Montreal and settle for a run at the bronze medal on Sunday morning. “There [are] certainly are some positives, well many positives, that we’ll be able to reflect upon, but right now it’s pretty tough, it’s pretty disappointing,” Mosher said. Though an unfavourable result for the T-Birds, Mosher acknowledged the growth of his team throughout the season and the character they have showed through a tough Canada West conference. On the other hand, the Carabins claim the first of two spots in the gold medal game for the first time in its program's history. They wait for the result of the second match of Friday evening between Cape Breton and Thompson Rivers to see who they will face Sunday afternoon.